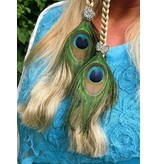 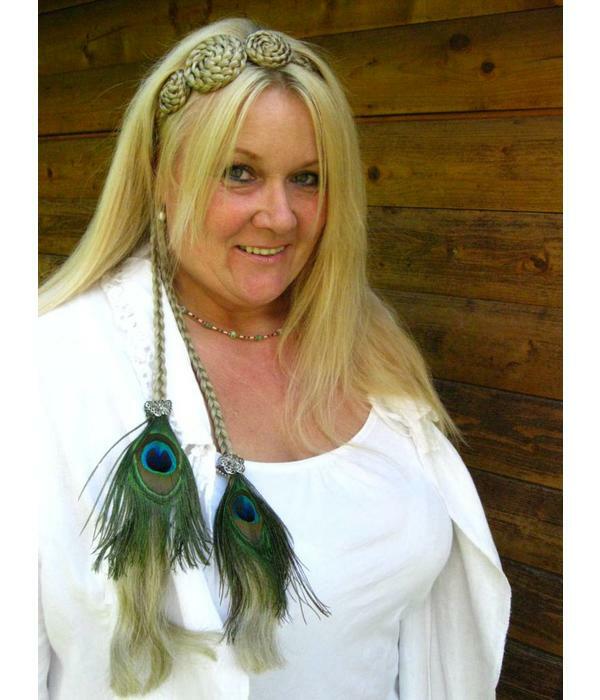 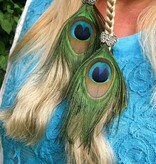 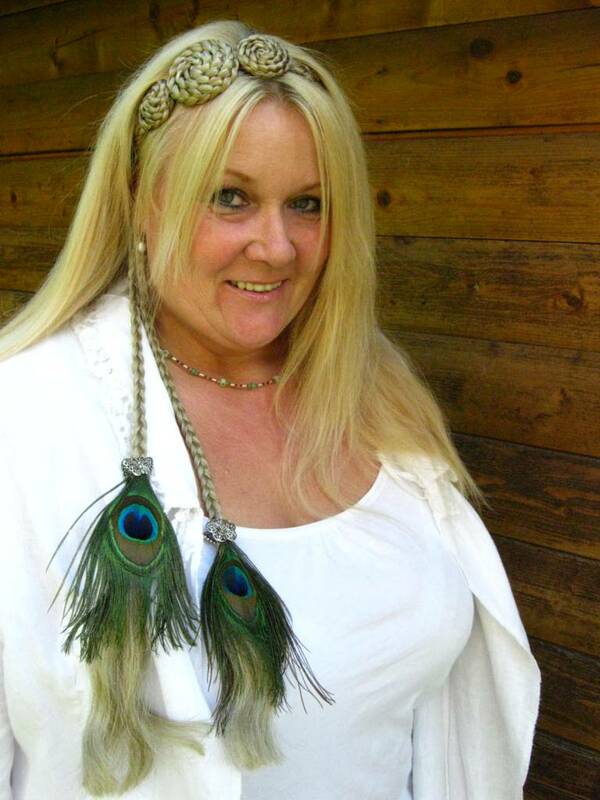 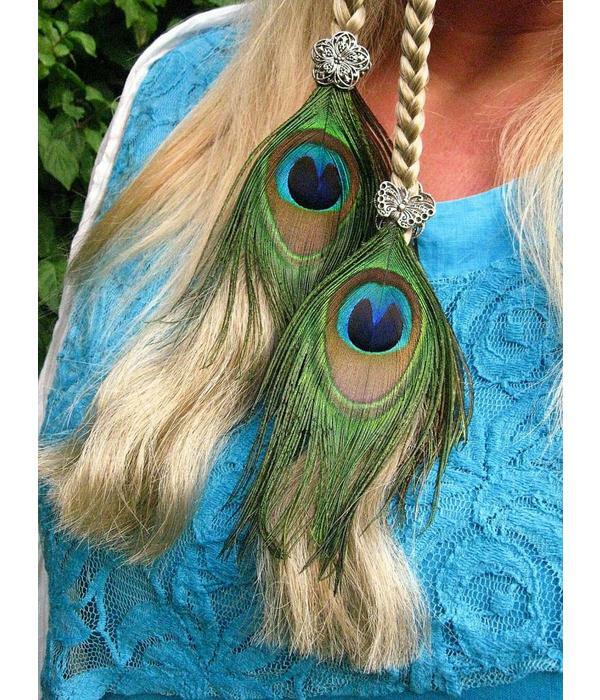 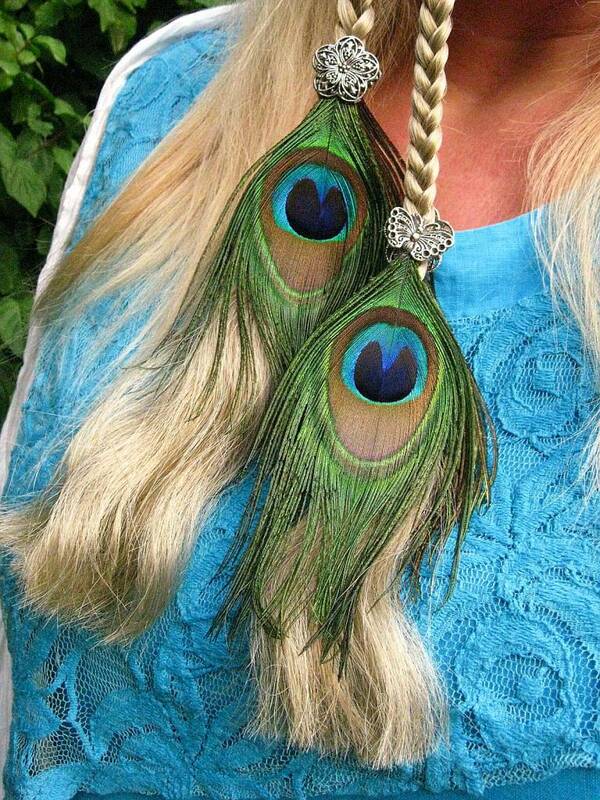 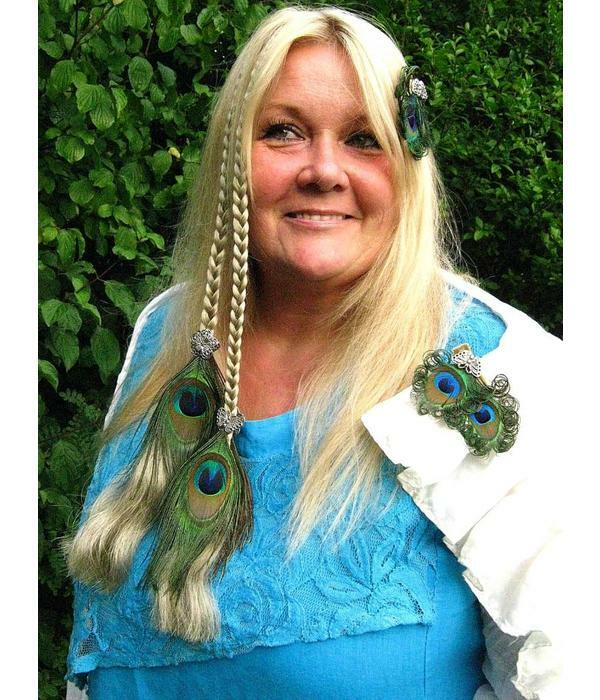 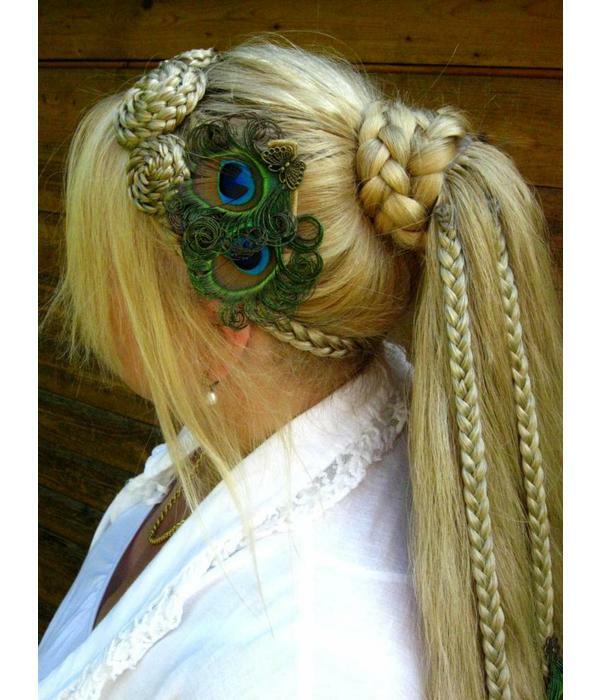 Peacock feather clip in extensions with 2 open braids (wavy hair), double feathers (2 feathers attached opposite each other to avoid backsides) and 2 silver or bronze decorations (of which one is a butterfly and the other one a flower) each! 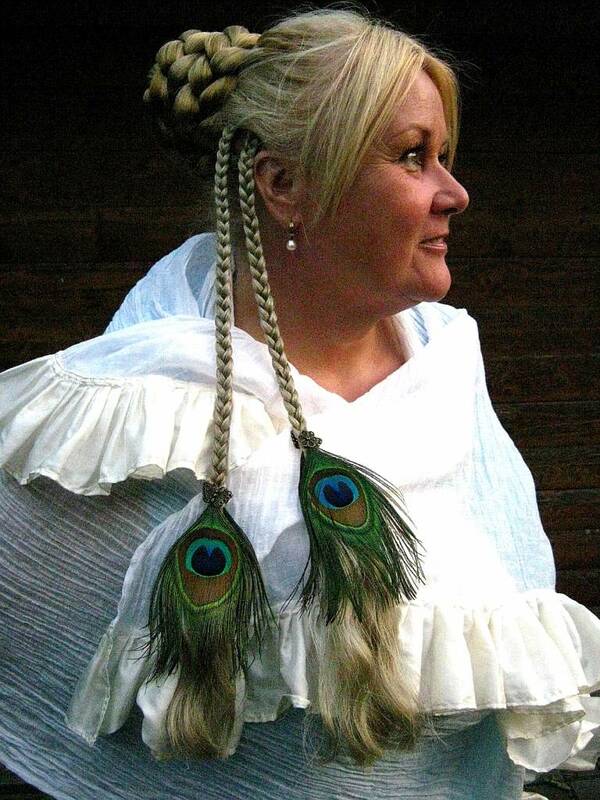 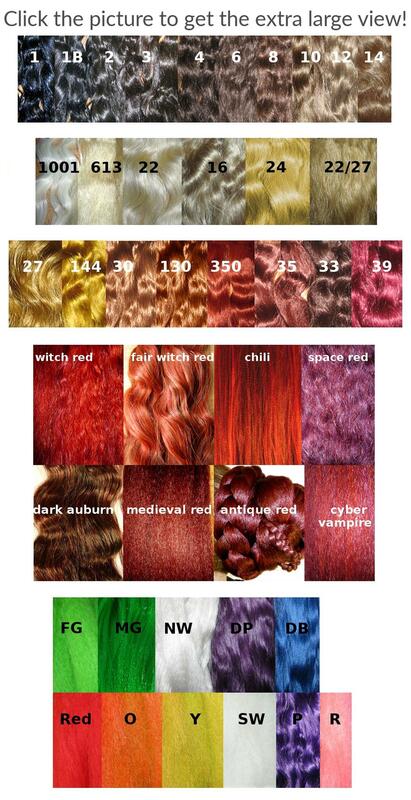 The braids are custom-matched to your hair color or made in a contrastive one, just as you like it! 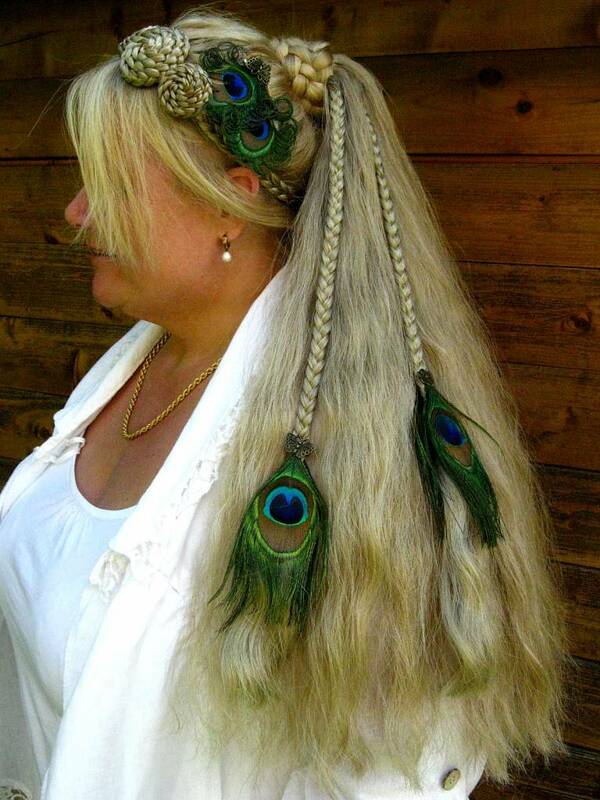 The braids are sealed under the filigree silver decorations, so they only look open, of course, so they will stay like you receive them and won't open any further! 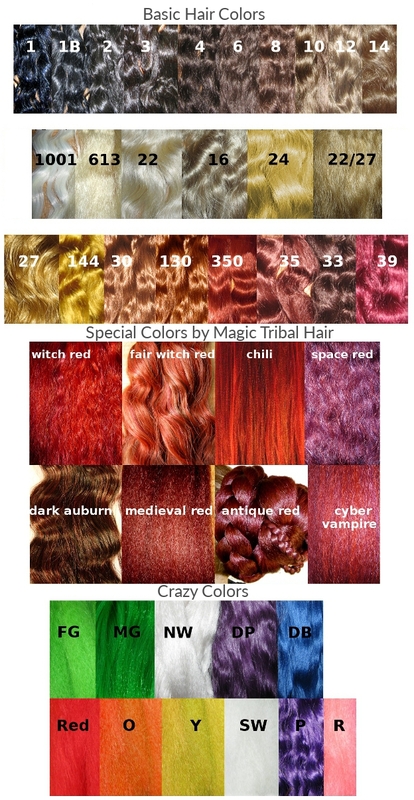 Pick the color for the decorations in the menu! 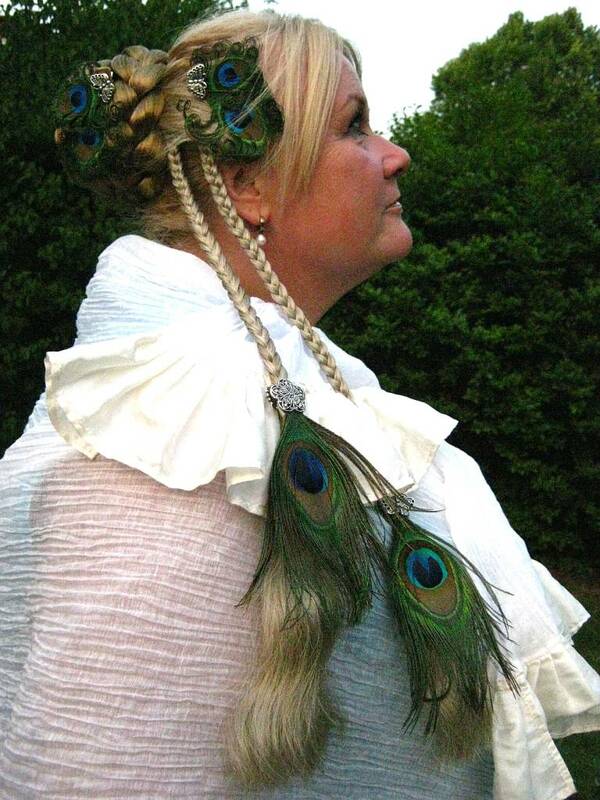 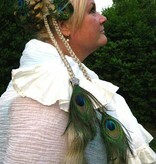 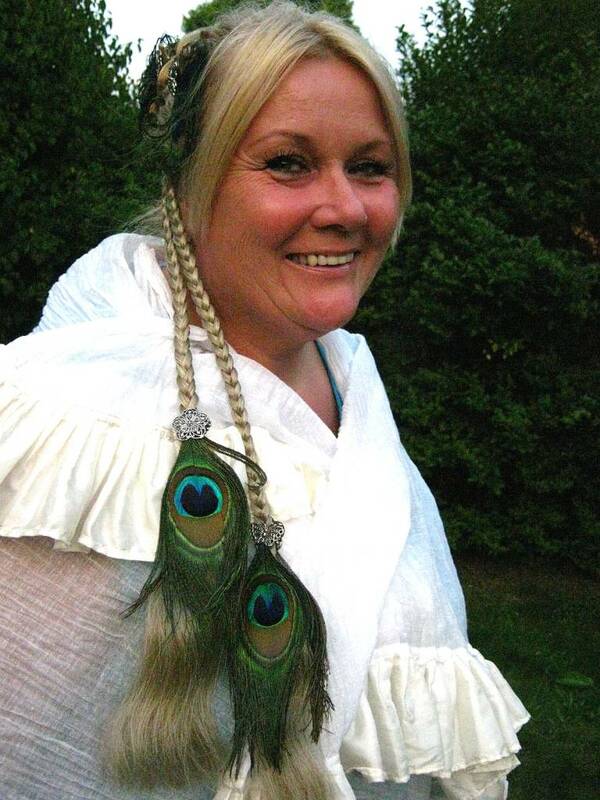 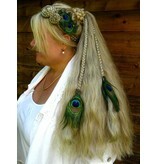 These peacock extensions are especially popular for fantasy weddings and costuming - perfect fairy and mermaid hair! 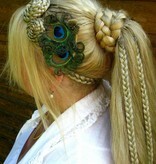 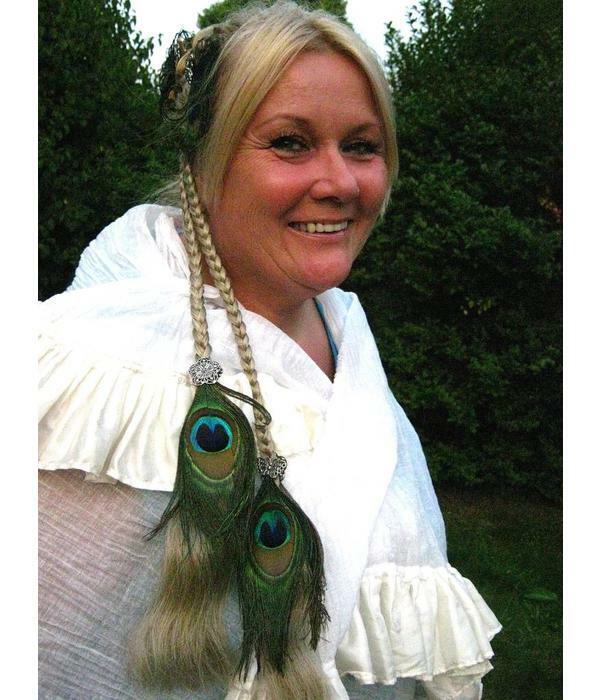 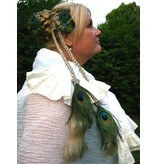 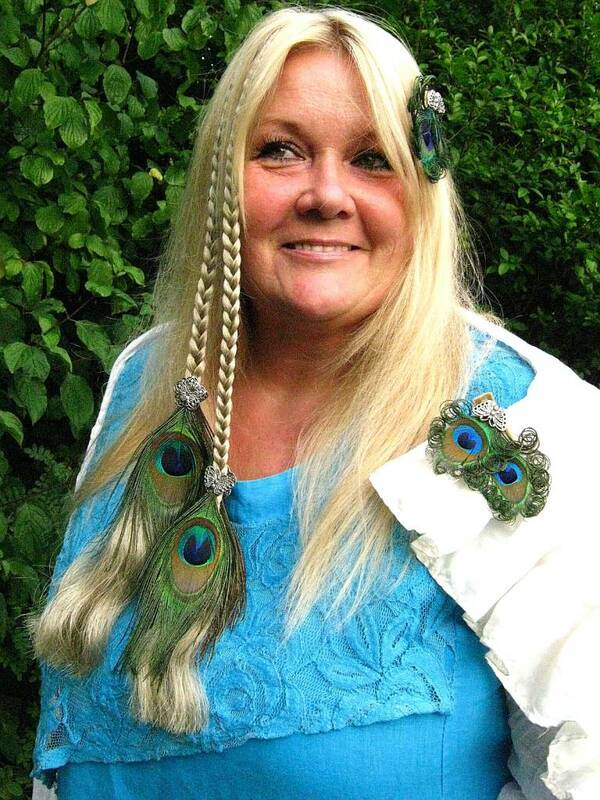 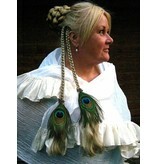 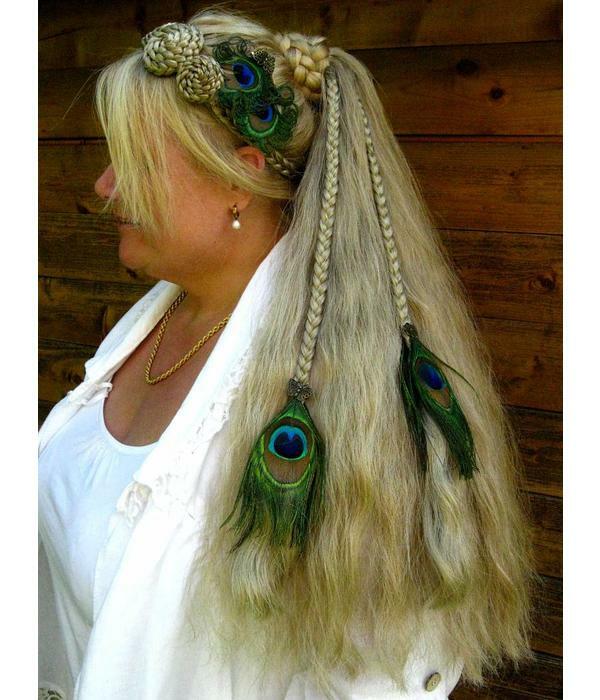 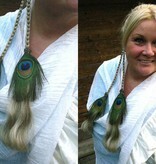 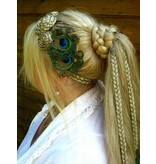 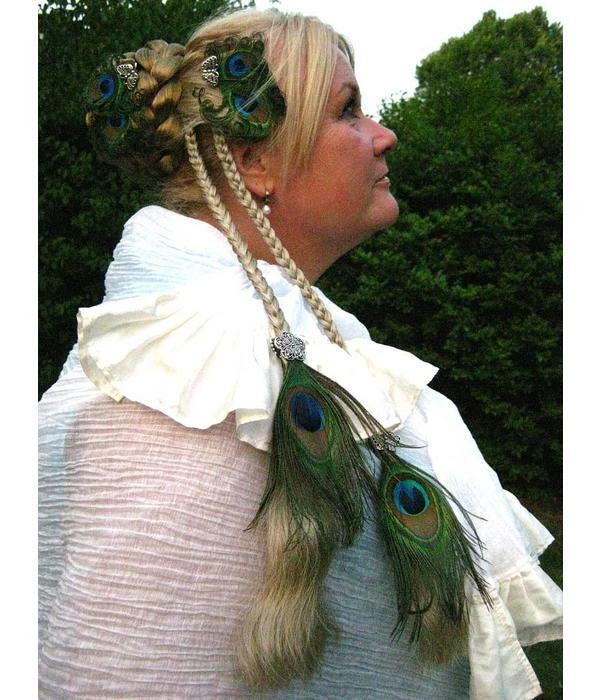 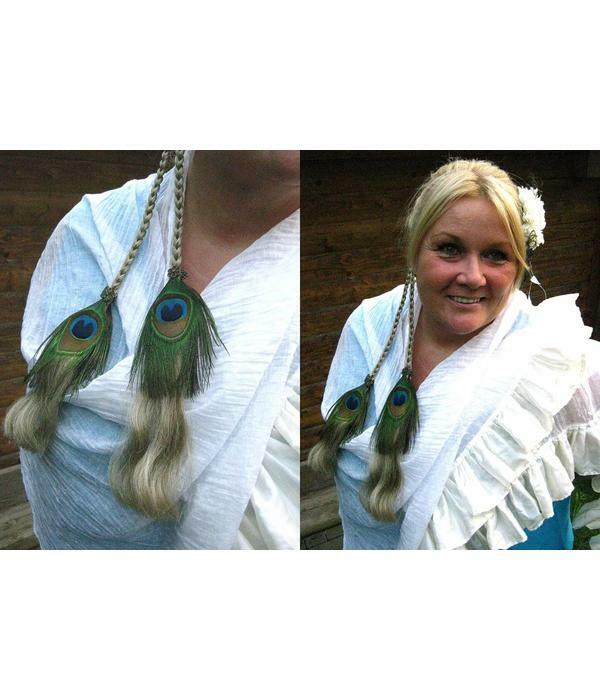 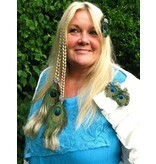 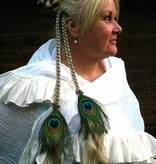 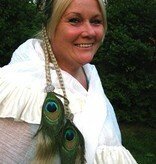 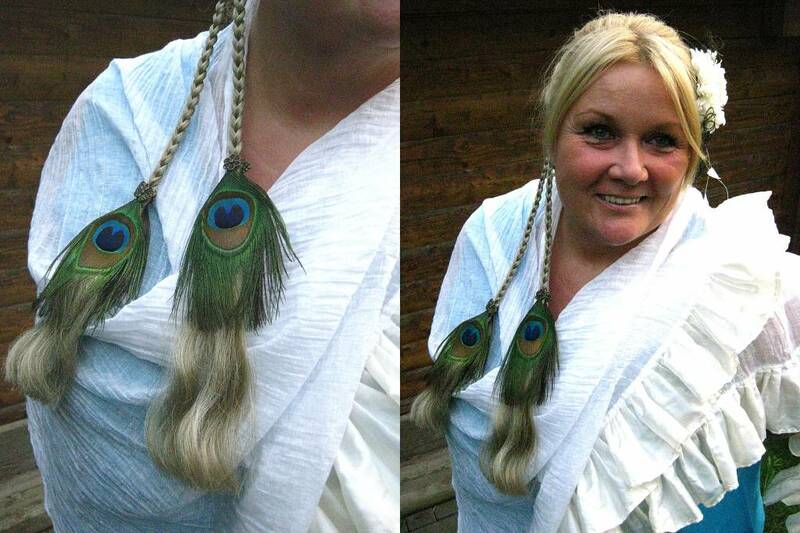 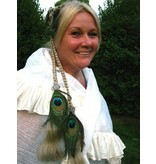 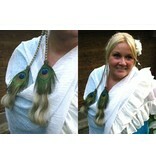 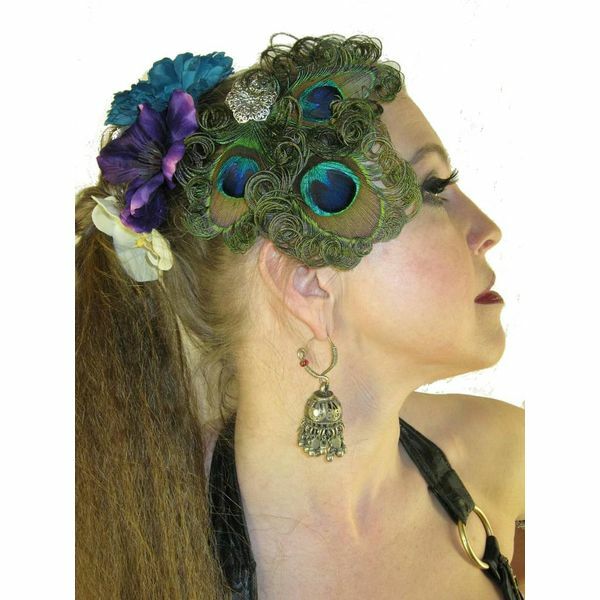 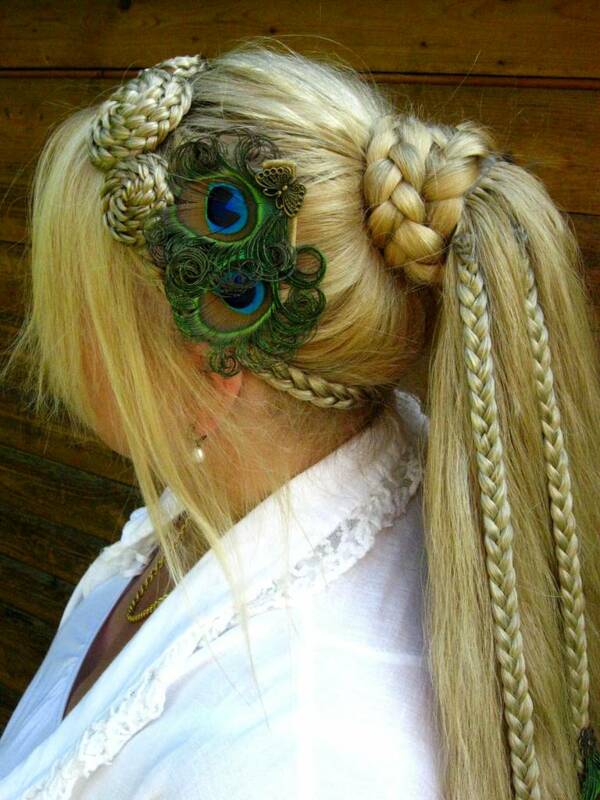 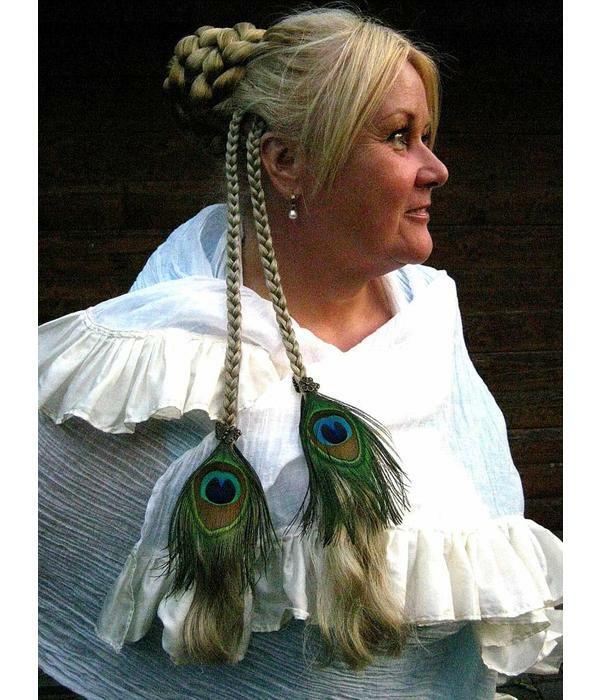 - for larp and cosplay and as tribal fusion belly dance hair piece. 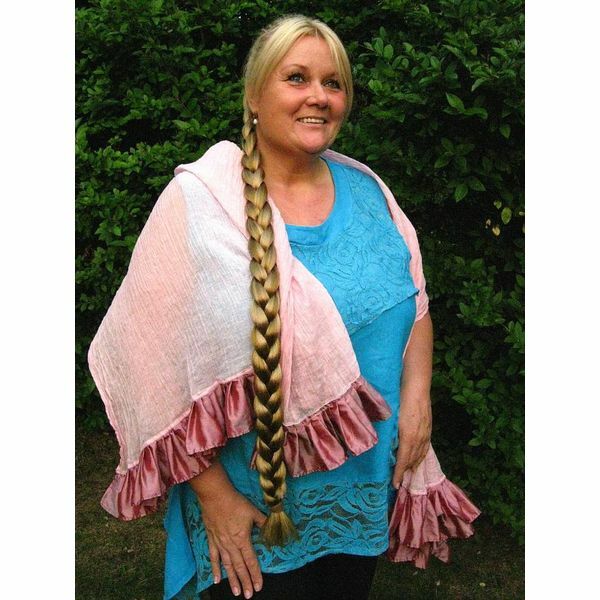 Dimensions: Each braid is about 50 cm/ 20 inches long and 1-1.2 cm/ 0.4-0.5 inches wide. 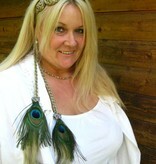 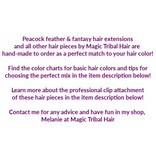 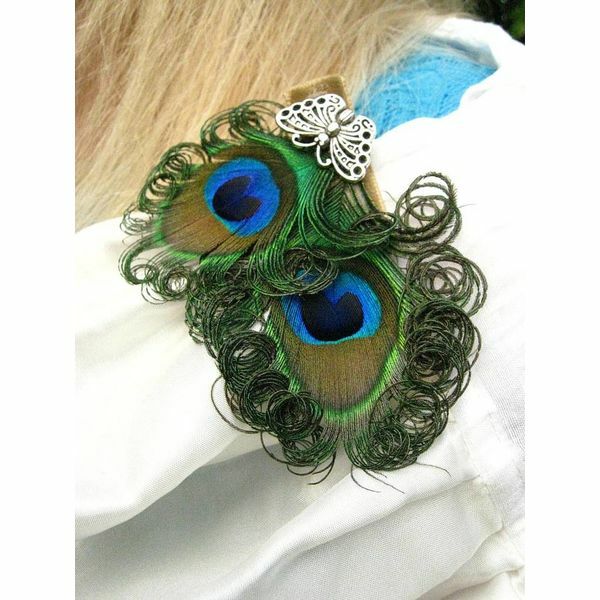 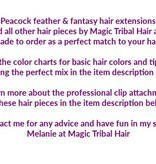 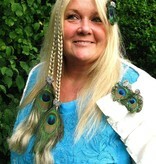 We make all peacock feather hair pieces to order and decorate them with precious, carefully selected feathers! 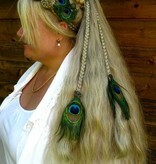 These extensions with feather at the ends only come with extra large peacock feathers! 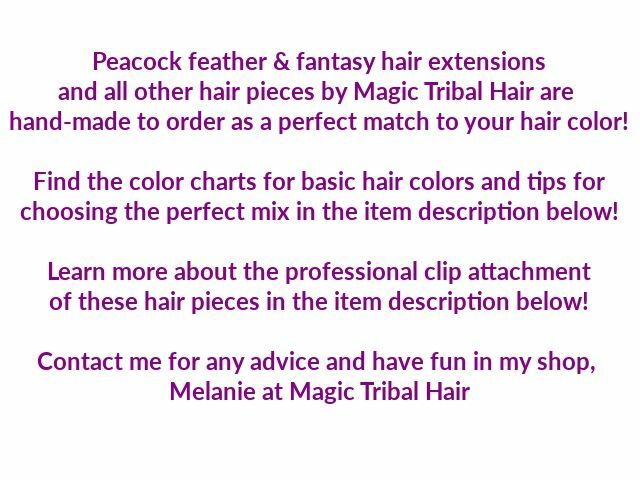 Order a single clip hair piece with 2 braids or a set of 2 clip ins with a total of 4 braids of the same hair color and with some discount! 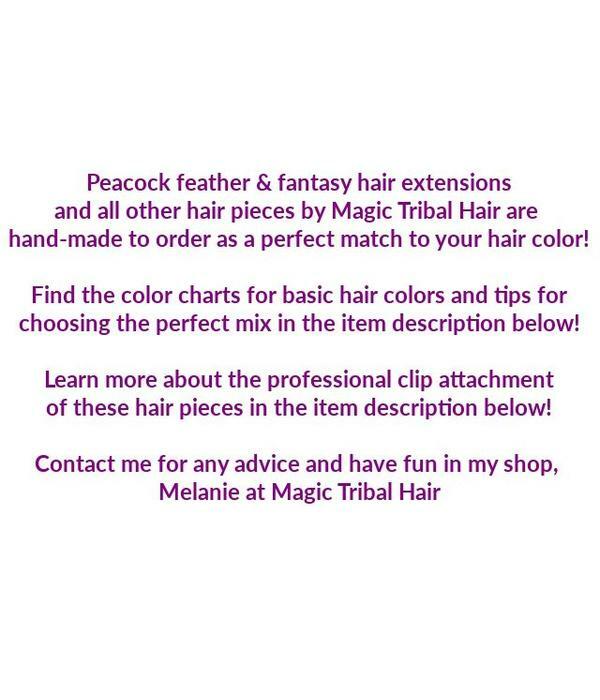 This model comes with an especially large discount for the pair in the same hair color, because adding the waves to the hair is a lot of work and it takes exactly the same time for the pair!